So far, Acer tablet has made a great contribution on multimedia enjoyment. The Iconia One 7, A1-830, A3, B1, W4 and so forth are perfect for enjoying entertainment on the go. However, same as other tablets, one the few drawbacks is that the Acer Iconia tablets cannot play DVD movies directly. 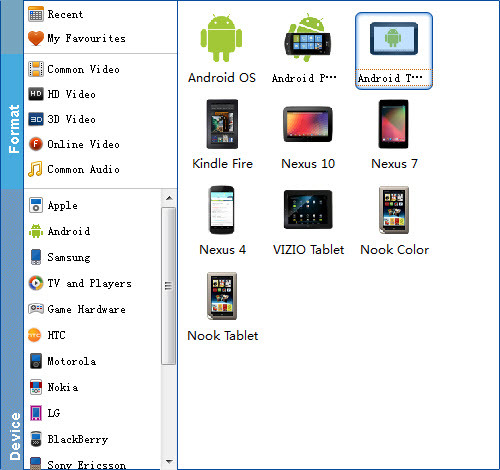 If you have favorite movies on DVD discs and you want to get them on your Iconia A1-830 or One 7 for amusement while on the go, you will find some useful information in the tutorial below to convert DVD to Acer Iconia tablet. To rip videos from DVD to Acer Iconia tablet, here EaseFab DVD Ripping program is highly recommended. It can fast rip DVD to Iconia One 7, A1-830, A3, B1, W4 supported video format with excellent output quality. 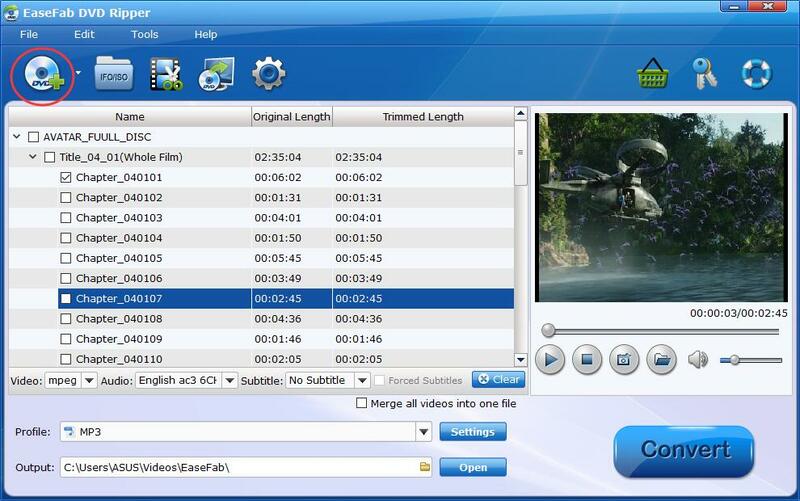 this DVD ripping tool can also convert DVD to various popular video formats like AVI, MP4, WMV, MPEG, MOV, FLV, MKV, 3GP, etc. as well as rip DVD to optimized video for playback on iPad, iPod, iPhone, Zune, Creative Zen, Archos, iRiver, Blackberry, Xbox 360 and more. If you want to convert DVD movies on Mac for playback on your portable device, this DVD ripping software is undoubtedly the best choice. Just download it and follow the step-by-step guide below to copy DVD movies to your Acer Iconia tablets for smoothly playing. Insert the DVD disc into your computer's DVD drive and click the "Load DVD" button on the top left to select and load the DVD movies you want to play on your Iconia tablets. ISO and IFO files are also supported. After the movies are loaded, you can preview them on the right viewing window and adjust volume or take snapshots freely. Select an Android friendly format, e.g. H.264 .mp4 for conversion. Basically the "Android" > "Android Tablet" is suitable for all Acer Iconia tablets including Iconia One 7, A1-830, A3, B1, W4, A500, A100 and W500. When you have finished all the above settings, you can simply click the Convert button on the main interface and let the software do the DVD to Iconia tab conversion for you. After the conversion, click "Find Target" to locate the converted video files and then transfer them to your Iconia One 7, A1-830, A3, B1, W4 for unlimited playback.